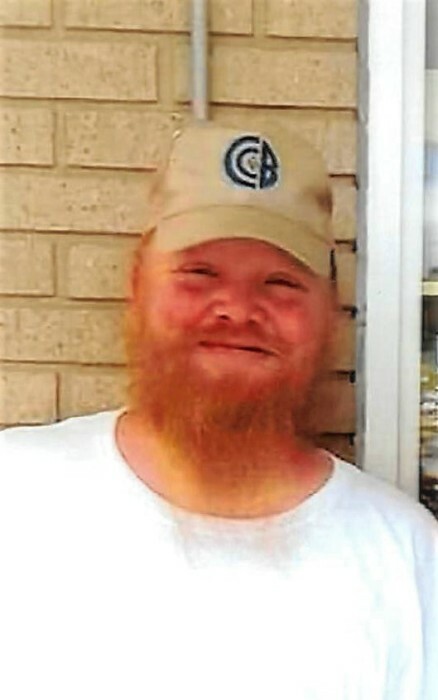 Chris Wesley, of Liberty, passed away on April 9, 2019, at Casey County Hospital. He was 42. Born on May 14, 1976, in Danville, Kentucky, he was a son of Larry Mitch (De) Wesley of Liberty and JoAnn Marples Cravens of Science Hill. Chris was a self-employed mechanic worker. He loved working on lawn mowers, collecting hot wheels, drawing and fishing. He attended Corinth First Church of God. He is survived by his wife, Becky Richardson Wesley, who he wed on May 14, 2012; two sons, Christopher Wesley and Alex Wesley, both of Liberty; a sister, Tammie (Tony) Sears of Middleburg; and two brothers, Barry (Edna) Wesley of Science Hill and Robert (Amanda) Baker of Waynesburg. Chris is preceded in death by two stillborn children. The funeral service will be held at 2:00 P.M. on Friday, April 12, 2019, at Corinth First Church of God with Bro. Tim Carman and Bro. Steven Willingham officiating. Burial will follow in Middleburg Cemetery. The family will receive friends from 5:00 P.M. to 8:00 P.M. on Thursday, April 11, 2019, at McKinney-Brown Funeral Home and from 9:00 A.M. to 2:00 P.M. on Friday, April 12, 2019, at Corinth First Church of God.